THREE DAYS ONLY: Get the ‘Secrets of Spain’ series free! To celebrate some spectacular climbs in the year’s Tour de France, for 72 hours only, you can download Blood in the Valencian Soil and its sister, Vengeance in the Valencian Water for free, for your Kindle (or on any device using the free Kindle app). 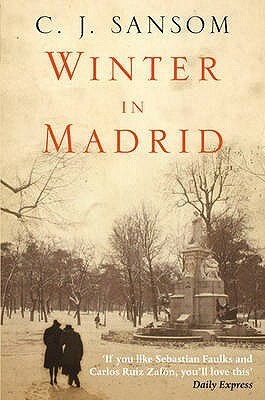 They are the first and second parts of the ‘Secrets of Spain‘ novel series, featuring bike mechanic Luna Montgomery from Valencia, and Cayetano Beltrán Morales from Madrid, and their quest to dig up Spanish Civil War and Franco-era mass graves, while coping with 21st century Spanish life. Get one, get both, read in any order, the choice is yours! Read about 1930′s war time Cuenca, Valencia 1957 and the flood which took over the city, and present day Valencia, Madrid and Cuenca. The series has something for everyone – Spain, history, war, bullfighting, cycling, romance… whatever you like, this series will give out your favourites and tell you the stories of ordinary people in extraordinary lives. Of course, you don’t need to have a knowledge of any of these subjects, just jump in and follow the story!